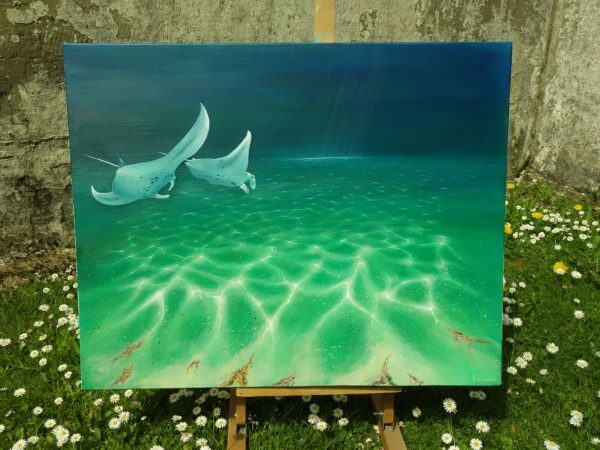 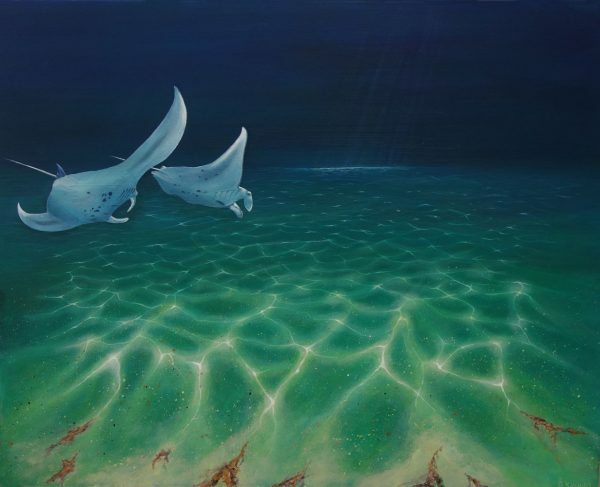 Two Manta rays on seabed original painting on canvas. Kay has captured the light on the seabed in this painting perfectly. A great backdrop for the two cruising manta rays.